Video Door Phone CV-VDKTS704 - wired video door phone - Products - Catchview Electronics Co., Ltd. - Catchview Electronics Co., Ltd.
1. Ultra-thin design luxurious style touch screen indoor machine,leading the new trend of color video door phones. 2.High quality Touch Screen 7inch TFT-LCD. 8. Monitor, intercom, unlock,hands-free, chord rings choice. 10. Volume, brightness,colorful & contrast adjustable. 12. Match can up to 1&1, 2&1, 1&2, 1&3 systems. 14. With Chinese & English Menu. 15. With Calendar & Playback function. 16. With automatic overwrite function,max to support 32G SD card. 17. With Unlock Time delay function,without PIR function. 18. Support 500 pcs user card. 19. Remote Control Distance: 1-5 meters. 20. 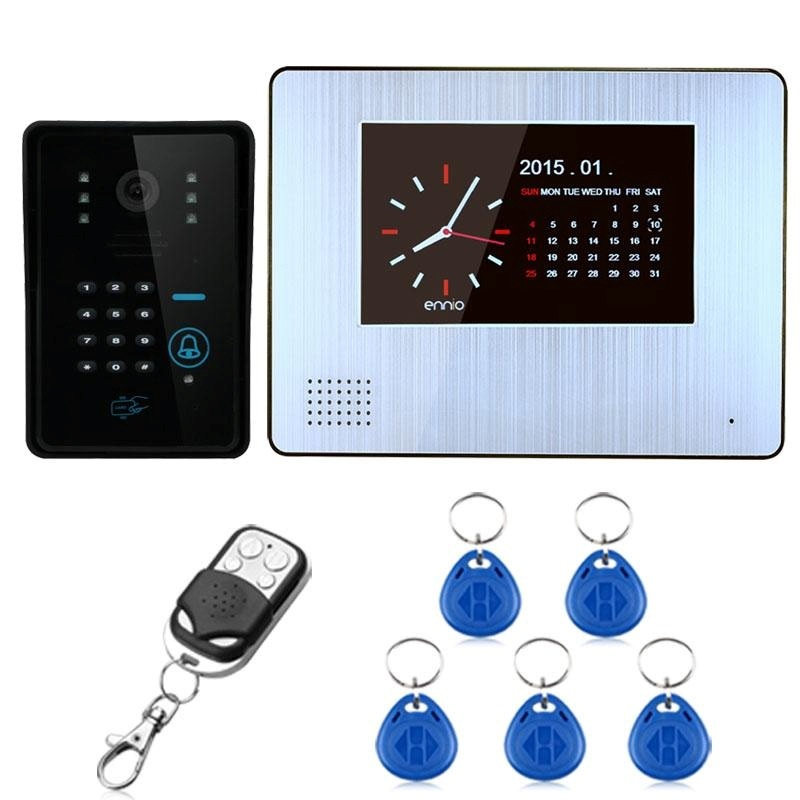 With password unlock,remote control unlock,ID card unlock,password & ID card unlock,indoor monitor unlock. 21. customize tamper-proof screw design.